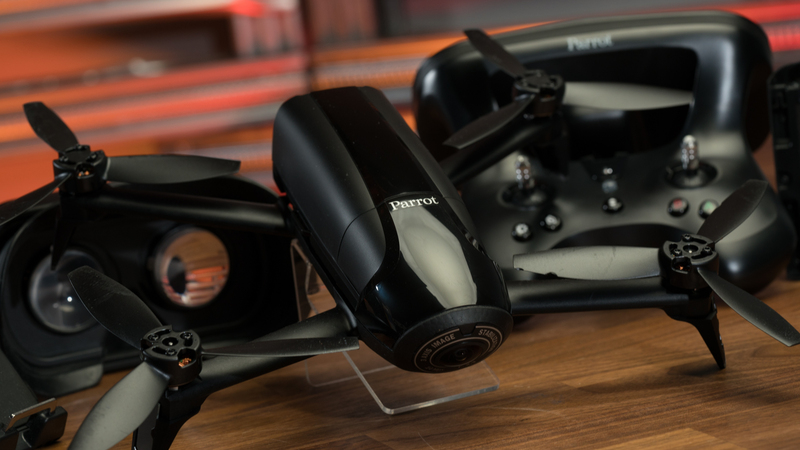 Parrot Bebop 2 Power FPV Drone: Can a Fixed-Camera Quad Compete? The new Parrot Bebop Power 2 – FPV is a ready-to-fly FPV experience, with up to 30 minutes of fly time per battery and speeds over 40mph. Trends in the consumer drone world have been pushing the limits of what the technology is capable of, with a heavy emphasis on photography, portability, flight time, and an immersive First-Person-View (FPV) experience. Hot on the heels of the advancements in VR, major drone manufacturers are quick to jump on the trend and produce innovative solutions that enhance the piloting experience more than ever before. One such brands is Parrot, a French drone company that is known for blazing a trail with their unique design, tested here on their latest Bebop Power 2 – Pack FPV. Parrot comes without an external gimbal and attempts to deliver an out-of-the-box solution that checks all the boxes. But is there room in this competitive space for a fixed-camera FPV drone? FPV drone piloting has become the latest tech to deliver a full immersive experience in-flight. The video from the drone’s point-of-view is played directly into the eyes of the pilot, which started in drone racing. While all quadcopters with a camera where the feed is used to pilot are technically “First-Person View”, there is a little more to it than that. An FPV drone is one that accompanies a set of special goggles that the pilot wears to maneuver the drone. These goggles receive the video feed that is broadcast from the drone, and display the imagery directly into the eyes of the pilot. This means that the pilot is only seeing what the aircraft sees, with a completely immersive experience. FPV piloting is most popular in drone racing, where the operators must be fully embedded into the aircraft’s environment in order to complete tight maneuvering patterns at high speeds. Parrot’s Bebop line diverts from the traditional mechanical gimbal seen on most photography drones, with a low-profile and lightweight design. The most noticeable design element is the cyclopean camera mounted on the front of the drone, which is fixed inside the body of the quadcopter. The front nose cone of the Bebop 2 Power is a hard Styrofoam, which is an interesting choice. However, the overall weight is a mere 1.15lbs which is quite impressive and validates the use of the material. The Bebop 2 Power (not to be confused with the Bebop 2) is really very quiet in flight, much less noisy than most other drones I have flown, and not at all disruptive to others nearby. Parrot decided to go with an internal media storage design instead of the traditional MicroSD card practice, which I’ll admit seems to be an odd choice. The storage capacity is roughly 8GB total, with slightly less than that available for actual use. For a photography drone, this doesn’t give much room to capture footage, especially if a computer is needed to offload the media to free up space. For a transmitter Parrot used the Skycontroller 2 with this new model, which is again quite lightweight. I can see a trend here with this iteration of the Bebop. While the design looks a bit strange at first, it functioned well and was easy to transport. 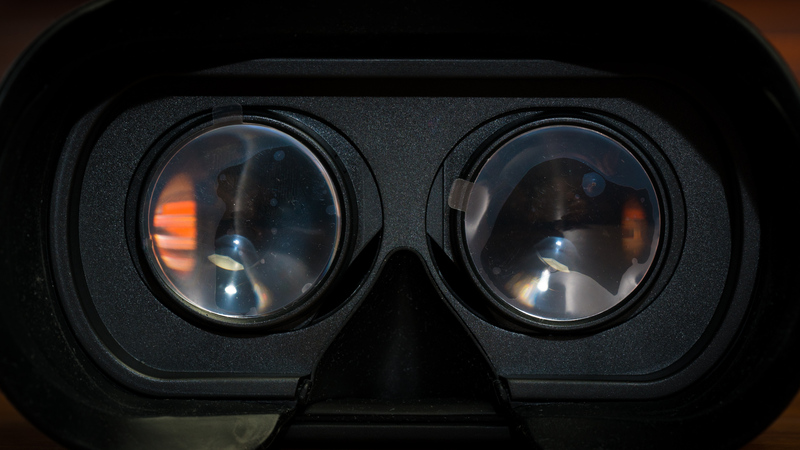 FPV goggles that act like a Samsung Gear VR or Google’s Daydream, holding the phone in front of lenses. The goggles don’t have any control aspect on them for the drone per say, moreover turning the viewing into an immersive experience. Note: the FPV Pack includes two batteries, however the Xtreme Adventurer comes with 3 batteries and a backpack for transportation. A Photography Drone without a Gimbal? The Bebop 2 Power uses digital image stabilization instead of a mechanical gimbal to correct any in-flight movement on the video feed. This reduces weight, but can also result in image degradation. When one thinks of photography drones, a few things pop into mind. Namely, the outboard camera hanging below the fuselage, which can take a variety of shapes depending on the manufacturer. But look at the Bebop Power 2 (or any drone from Parrot for that matter), and there is none of this sort to be found. The Bebop 2 Power’s 14MP camera can shoot in JPEG, DNG RAW, or 180° fish eye format. The nose-cone 14MP camera can either take DNG RAW photos, 13MP regular JPG photos, or 180° fish eye images. 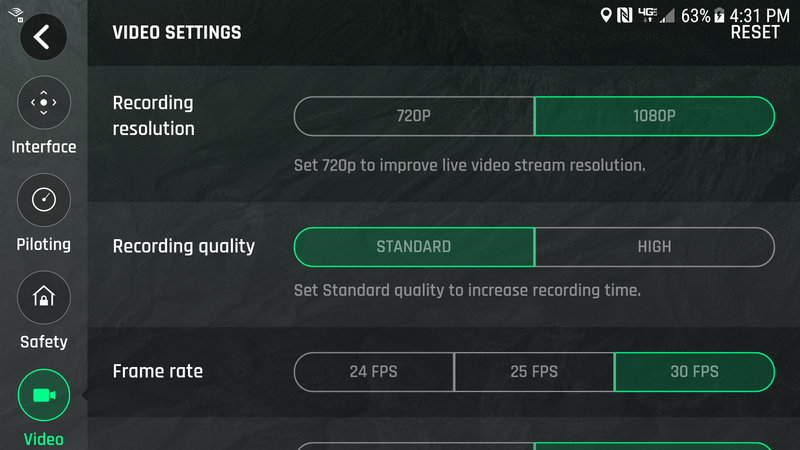 The quality overall looks pretty good, and pilots can adjust the different levels like white balance, exposure, and contrast to fine tune the camera imagery. In overcast or dusk settings there may be some graininess that presents itself, which can be removed with some slight edits. The 1080p video feed is clear, colors are organic and vibrant, and there isn’t any lag in motion capture. Despite not having an external gimbal, the camera can be pitched upwards or downwards, which kind of surprised me to be honest. I was expecting that having no external camera mechanism would preclude control of this, but it is a pleasant surprise. When the drone is at a hover, or slowly moving in one direction the feed is smooth. When in normal flight however, there are definite vibrations the appear in the footage from changes in speed, direction, or elevation. This is due to the fact that the camera (while able to stabilize digitally) doesn’t have the insulation from motor vibration like a detached gimbal does. This is rather unfortunate, and while the actual image quality is not suffering from any side effects of Digital Image Stabilization, this is inherently one of the issues that can come with non-mechanical formats. While the Bebop boasts 3-axis image stabilization, there are some differences between this and the more popular external mechanical 3-axis gimbal. Digital Image Stabilization essentially crops the image and uses an algorithm to remove the shaking. This is preferred when weight or space conservation is a focus, however most photography drones with mechanical stabilization also have some element of DIS as well. The downside to this is that the overall resolution is diminished, and there may be artifacts like the Jello Effect, which produces wave-like ripples through the image. It should be noted that the Bebop 2 Power did not exhibit any signs of jello, which is definitely a good thing. Mechanical gimbals shift the camera lens physically in response to the movements from the drone, which preserves the resolution and quality of the image, while removing the shaking or image tilt. Of course with the added mechanics the weight and cost of the rig often go up. 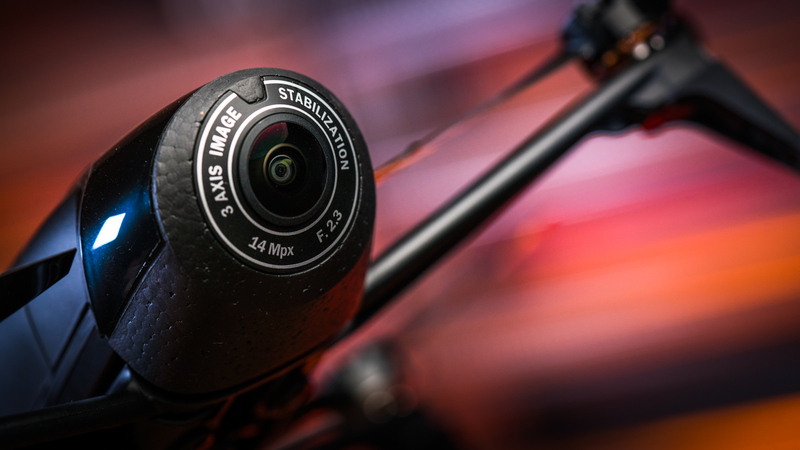 There are a few more details to note when doing a dive into the comparison between Digital Image Stabilization vs. brushless gimbal in drone applications. Video mode inhibits the speed and sensitivity of the controls, to allow for smooth filming. Sport mode opens up the juice of the Bebop 2 Power, really putting the power and handling to the high end of the photography drone spectrum. The quad comes out of the box with some fun basic flight customization tools, such as switching from either Film to Sport modes. The two are quite different, and while the Film mode tamps down on the sensitivity of controls in order to make a smooth and fluid film platform, the Sport mode is all about speed. 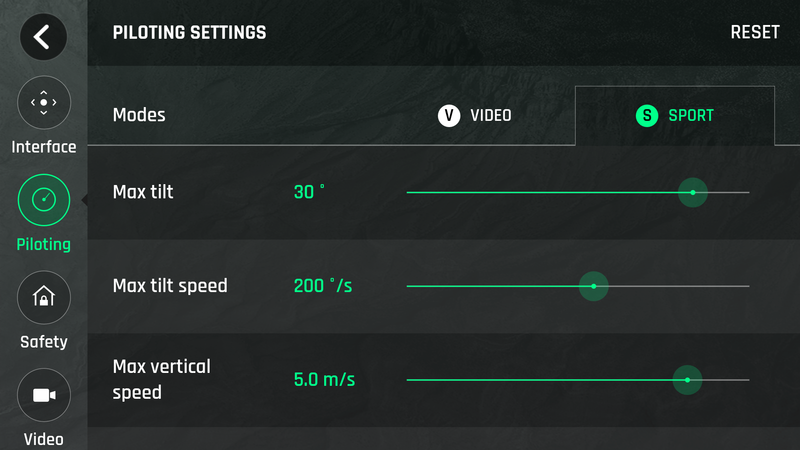 Characteristics like the maximum tilt (angle), tilt speed, vertical speed, and rotational speed are all customizable outside the preset values. The flight times I got was just about the 30 minutes Parrot reports, a little less since I was switching directions frequently, flying in a slight breeze, and using the Sport mode intermittently. To really maximize the potential of the drone the app is where all the potential really comes to life. 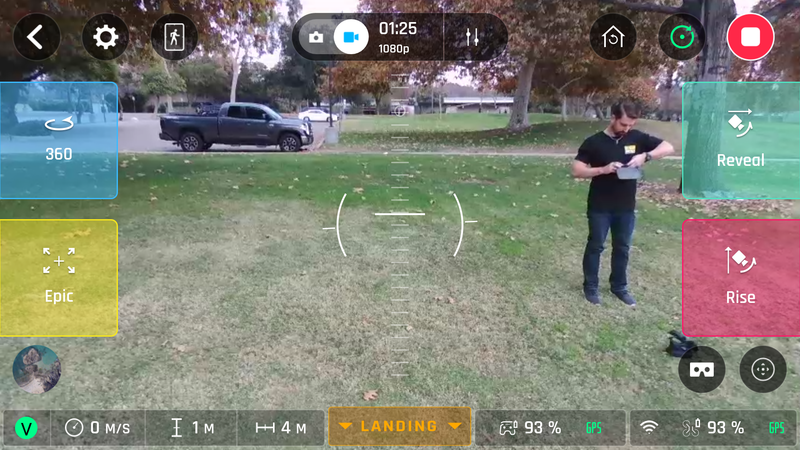 When switching to FPV drone flight, pilots simply slide the phone into the goggles, make the proper fitment adjustments, and can take to the skies seeing a bird’s eye view from the camera. One thing that was really impressive to me is the ability to toggle between Immersive View to see what the drone sees, and Direct View to see through the smartphone camera. This is critical in drone flight, because unlike a VR gaming experience where you are indoors, walking around outside without vision of the ground can be dangerous. Telemetry data appears on the FPV goggles in a 1990’s-esque green digital font, displayed front and center. In all modes Return to Home is available and works well, placing the Parrot a few feet from the initial launch point. Another feature that could be quite useful is the Find my Drone function, which pairs an audible alarm with GPS location on a map to help pilots find their downed aircraft in the event of an emergency landing. The FPV drone experience with the Bebop 2 Power as overall pretty good. While it was not nearly as advanced as other drone FPV options on the market, for the price it provided a good option without doubling the cost of the drone itself. 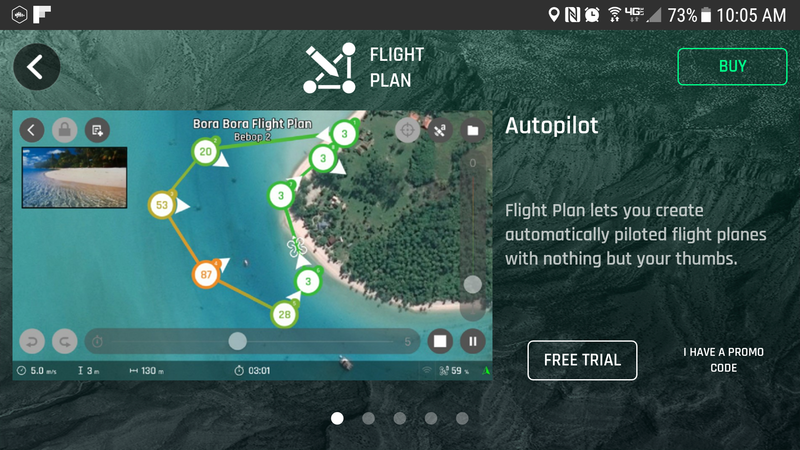 The Parrot FreeFlight Pro app is where all the flight modes can be adjusted, and the upgrades for flight mapping features and advanced programming can be found. Autopilot: This feature is at the heart of the Flight Plan capabilities, allowing pilots to design a pre-designated flight pattern for the drone before takeoff. Gradual turn: With this function, the drone will gradually turn at a predetermined angle, based on the point chosen during the pre-flight mapping process. This seems like a slick function, since the angle is customizable pilots can really dial in their shots based on the landscape or stationary subject. Points of Interest & Chronological View: Saves videos and lists specific locations for color-coded flight mapping. Chronological View basically lays out all the different flight actions on a timeline, so pilots can program specific actions at the desired time in a precise way. Interestingly enough, the features available in the Flight Plan are all really designed for taking the normal flight controls out of the picture, making it more of an FPV “ride along” experience. The other thing that this is very useful for is creating quality footage of an area, eliminating abrupt changes in direction, camera movement, or inconsistencies that would diminish the overall cinematic effect. The one thing that I not care much for is the fact that the FreeFlight Pro app charges $20 in order to use any of these really awesome features from the Flight Plan feature. It seems odd to me that while being named “FreeFlight Pro” the app has this in-app purchase required to access the full functionality. 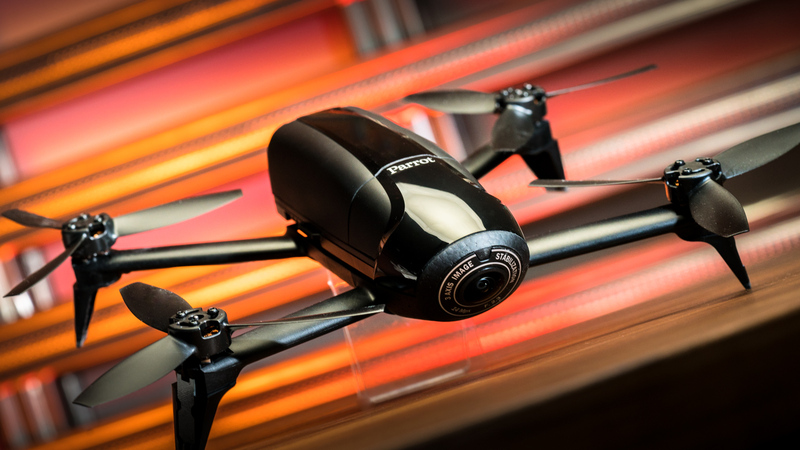 The Bebop 2 Power can record up to 1080p, at 30FPS. Storage is limited to the onboard 8GB Flash, which limits the amount of footage that can be captured in the 30-minute flight time per charge. Another section of the Parrot app that enables advanced features is the Follow Me suite of shooting styles. This feature allows pilots to select a subject in the drone’s field of view, and follow its movements. This worked pretty well from walking through running, and kept a consistent distance between the drone and myself during testing. Out of the box, the Parrot app allows pilots to use a trial version of the Follow Me suite of features with the Auto Framing function. This keeps the subject in frame, pivoting the drone on the yaw axis. It works pretty well, and it kept me in frame whether I walked or ran about, even about 20 yards from me. 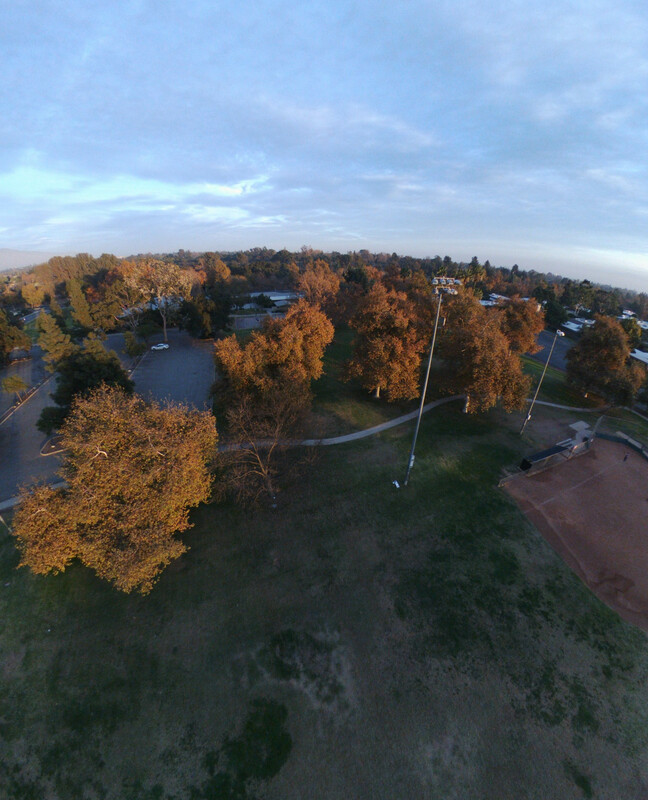 I was able to shake the locking system by putting some tree cover between myself and the quadcopter a few times. When the direct line of sight is broken, the drone either would return to the previous point where the subject was in frame or float around laterally searching for me. Auto tracking and shots are a fun aspect of the Bebop 2 Power. The features all work well and work to create the cinematic style that makes drone videography so spectacular. Epic: This shot is where the drone gains altitude rapidly, while flying backwards and pulling out from the initial location. Reveal: The most popular aerial cinematic effect, where the drone flies forward and pans the camera gradually up from the ground to the horizon as it does so. Rise: This feature sends the drone straight up into the air, while pulling the camera upwards from the 90° position as it does. 360: This is a feature where the drone completes a 360° orbit, either in a clockwise or counterclockwise direction (depending on which direction is chosen). In use it works quite well, and maintains a level altitude during the process. The main difference between the Auto Shots and the Magic Dronies is the subject in-frame. For the Dronies that is the pilot (or another subject) that can be locked onto, while the Auto Shots are designed to feature more of the landscape. Tornado: The Bebop 2 rises slowly, and gradually descends in a spiral pattern while keeping the pilot in-frame. Boomerang: The drone locks the camera on the pilot, flies 20 meters out, and returns to the original point of origin. Parabola: The Bebop 2 rises above the pilot, moves towards it, and descends to the starting elevation all while keeping the subject in frame. The quadcopter itself does essentially a 180° semi-circle around the pilot. 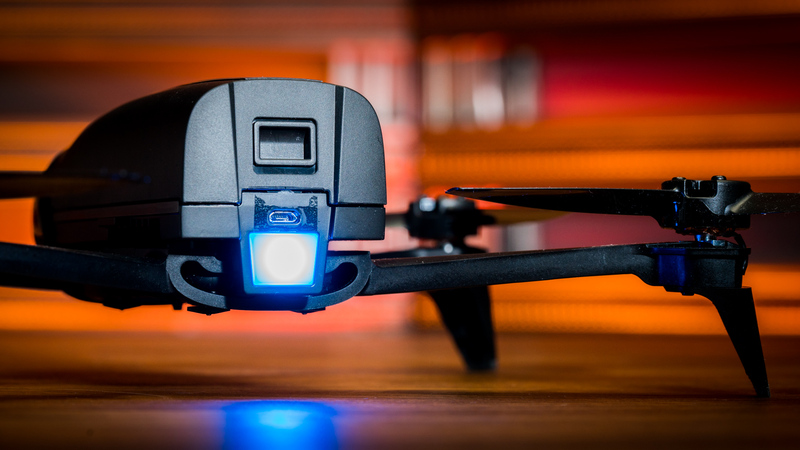 Is the Parrot Bebop 2 Power FPV the Real Deal? The Bebop 2 Power has its shortcomings, but all in all is a solid FPV drone with some exciting features. I didn’t really know what to expect when I first started into the Parrot experience. It looked a bit funky at first, but putting their newest quad through the paces I was actually quite surprised with some of the performance it put out. The camera is solid, and the digital image stabilization managed to do a reasonable job of producing quality footage albeit with some vibration at times. Granted, the quality of a mechanical gimbal will be better than DIS in my opinion, it will also run up the cost. The Bebop 2 Power had some respectable pep in Sport mode, and the handling was downright snappy. As an FPV experience it performed better than many out there, with some thought to the usability. For someone looking to get a well-rounded drone that can produce legitimate images, double as a fun freestyle quad, and dive into the FPV experience (without spending a boatload), the Parrot Bebop 2 Power FPV is an awesome choice. This is by far one of the best reviews I have read, not only for the Bebop 2, but in general. Extremely thorough and well written. I ordered a BB2 directly after reading this. Nice job.